Ash Ketchum is the main character of the Pokémon Anime. 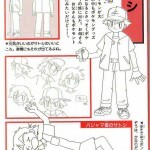 He is based on Red, the protagonist of the first generation games (Pokémon). 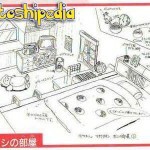 The original name Satoshi means “Wisdom” (a quality that Ash has gradually gained throughout the series) and comes directly from the Pokémon creator, Satoshi Tajiri, which, in many interviews, claimed to be reflected in the character. In the games Pokémon Red and Blue, and Pokémon Yellow, Ash is one of the default name which the player can choose. His surname “Ketchum” comes from the slogan “gotta catch ‘em all”, but it is also a real and existing surname. 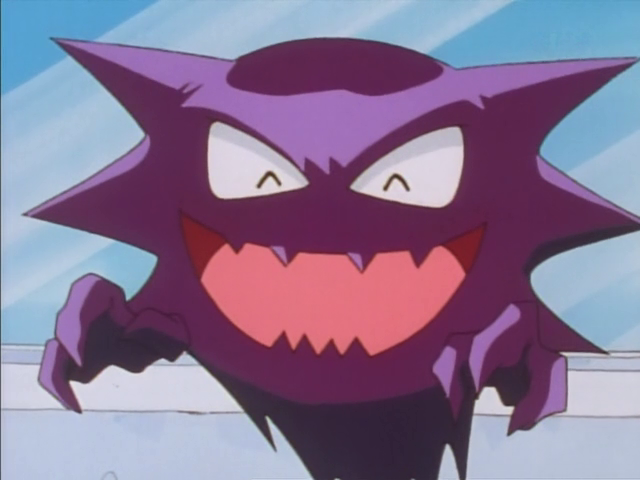 It’s possible that it has been choosen due to the number of movements of the mouth made, in the anime, to pronunce the protagonist ‘s original name, in order to make the dubbing easier since “Satoshi” has two more syllables than “Ash”. As many others shōnen characters, he would like to achieve a very difficult goal. 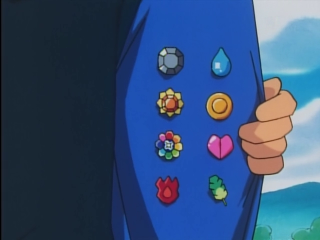 In this case, Ash wants to become a Pokémon Master. For this reason, he travels around the world challenging Gym Leaders and competing in Pokémon Leagues, similarly to the protagonist of the videogames. Though being a character with the typical shōnen hero peculiar features, Ash has some specific qualities which highlight an even more articulated personality. In particular it stands out his exceptional ability to comfort and encourage those who need a helping hand, making use of his empathy. This makes him a landmark for most of his fans, so that in the book “The Japanification of Children’s Popular Culture” Ash is cited as an example of cultural identification. Additionally it emphasized the character’s growth and development as the anime series progressed. 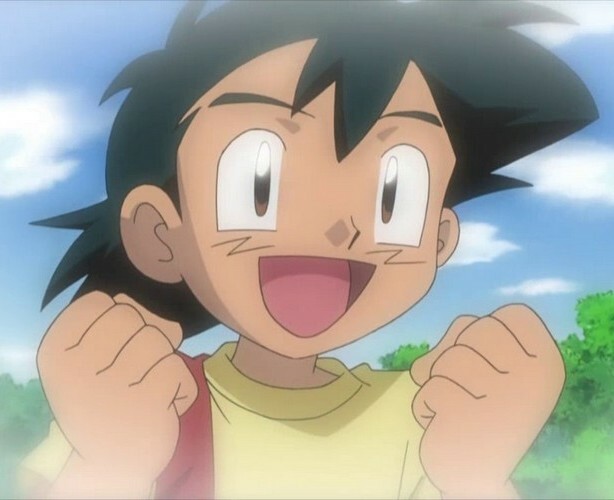 Ash is particularly unselfish, empathetic and kind, but at the same time he also has other peculiar characteristics, like his courage and determination. Ash is indeed extremely stubborn and he never gives up, despite difficulties. His motto is “saigo made akirameru na” (literally: “never give up until it’s over“). As mentioned above, he shows a particular empathy, thanks to which he always manages to find the right words to cheer up those who need it. Thanks to this particular trait, friends consider him a sort of psychologist in the group, often making use of his own teachings on how to face life and its difficulties. But when he is having a problem, he prefers to keep everything inside and can become grumpy against anyone who tries to help him. Ash established a relationship based on trust and mutual respect with his Pokémon: he wants his team to feel part of a big family. Moreover, as explained by Takeshi Shudo, Ash also has super-strong feelings thanks to which nothing can traumatize him, so that he has never been deeply shocked by the absence of his father. In fact this has strengthened his character. 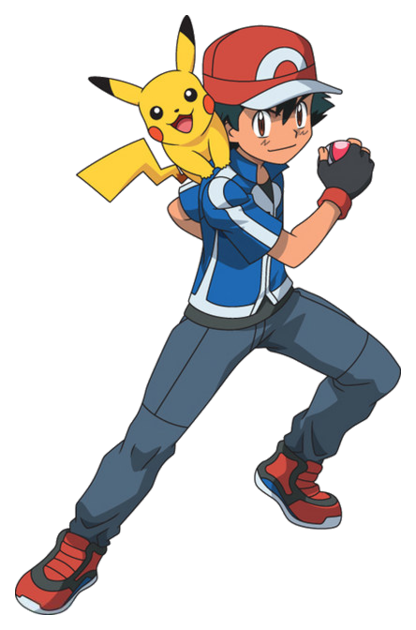 Ash appears as a boy of short stature (165 centimeters) and thin, but at the same time very athletic and vigorous (as a matter of fact, he is known for his great agility). He is used to wear a red hat on his thick and messy hair, while, as far as his hands are concerned, he wears some fingerless gloves. He prefers to wear jackets with short sleeves and long pants (probably for convenience and practicality while travelling). On the 1st of April, after his 10th birthday, Ash left his hometown Pallet Town, along with three other trainers, including Gary Oak, his rival since childhood. But that morning he overslept and met Gary, professor Oak’s grandson, from whom he already received his first Pokémon. Once he reached the professor laboratory, Ash found out that all the starters (Bulbasaur, Charmander and Squirtle) had already been taken, so he decided to take an exemplary of Pikachu, the only remaining creature, together with the Pokédex provided by the professor (called Dexter). However, Pikachu hates Poké Balls, which is the reason why it still follows Ash as if it was a “free” Pokémon. Initially, it caused some problems to its trainer by not respecting him, but when Ash risked his life to protect the little Pokémon injured by some Spearow, the two became inseparable friends. At the end of this adventure, Ash and his Pikachu saw a peculiar Pokémon. During a video-call with professor Oak, Ash realized that it was the legendary Pokémon Ho-Oh, but nobody believed him. 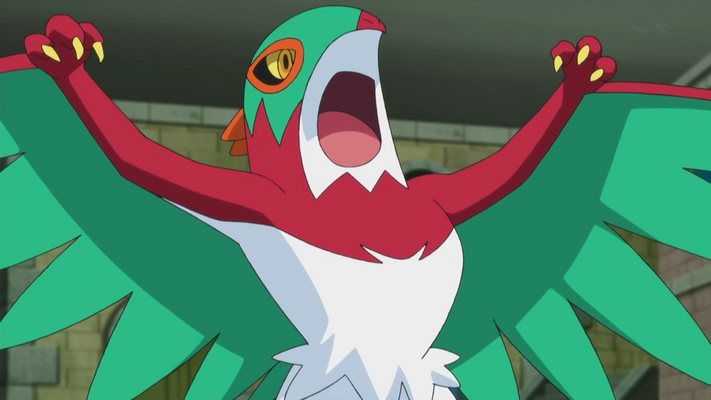 He was, in fact, the first to have seen Ho-Oh in the last three centuries. Since Pikachu is able to generate powerful electrical attacks, it is often the target of Jessie, James and Meowth (members of Team Rocket) plans, that often consist on trying to steal the Pokémon and bringing him to their boss Giovanni. At the beginning, Ash was accompanied by Misty, who followed him to get her bike back, taken by Ash to save Pikachu and destroyed by the Thundershock it used to help Ash. 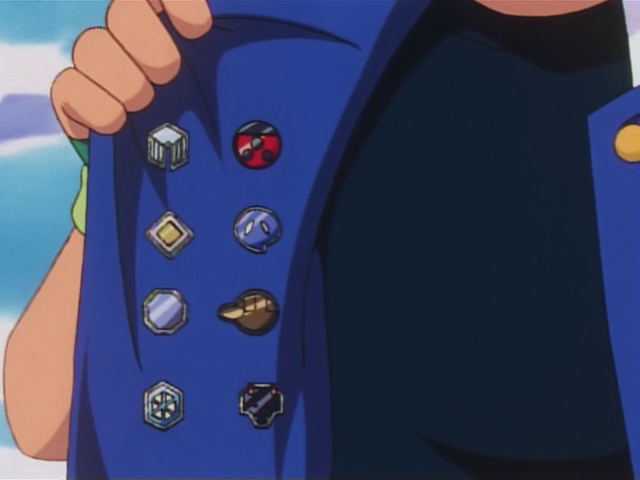 Having to win eight badges in different Gyms to partecipate in the Pokémon League, he fought Brock, the Gym Leader of Pewter City, who joined the team after being defeated. 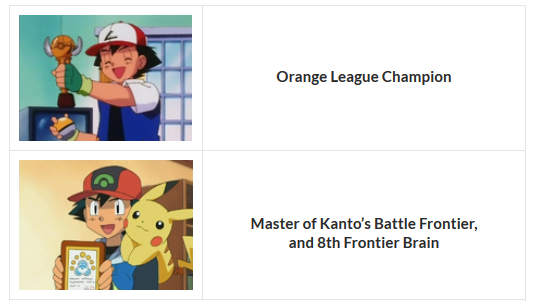 In the second season of the anime (according to the western numeration), Ash finally participated in the Kanto League, situated in the Indigo Plateau, where he was defeated by his friend Richie and finishing in the top sixteen positions. 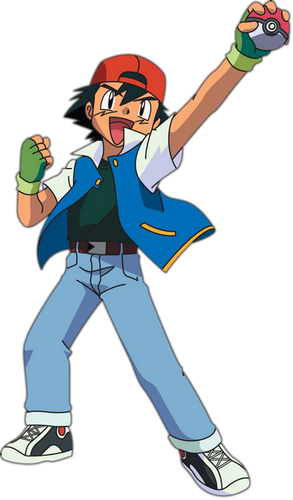 Subsequently, Ash traveled through the Orange Islands alongside Misty and Tracey Sketchit to win the Orange League. In the episode “Enter The Dragonite” he defeated Drake and obtained the trophy. 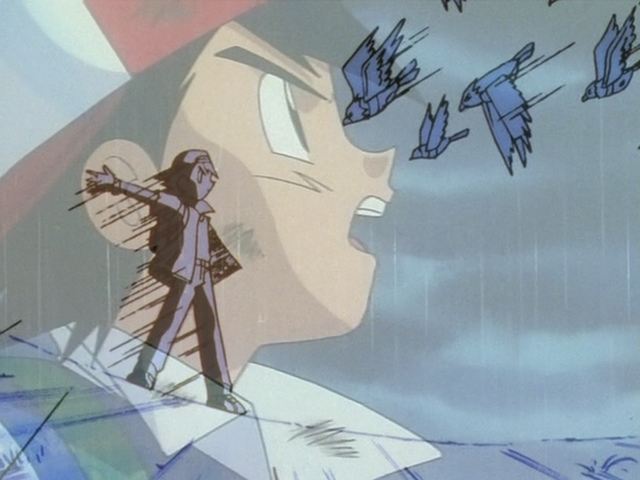 Ash’s next journey took place in the Johto region, where, once again, he was followed by Misty and Brock. 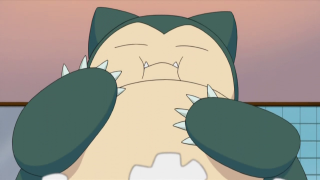 In the Johto League, Ash finally defeats his rival Gary, but is then beaten by Harrison finishing in the first eight positions. 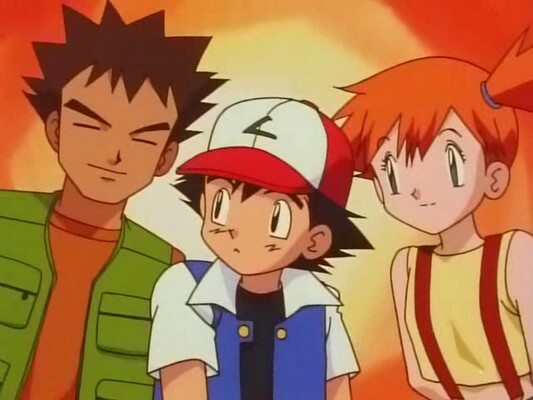 In the Advanced Generation series, Ash had to separate from Misty and Brock, which made him feel very sad. However, Brock came back and joined again Ash and his new friends: May and Max. 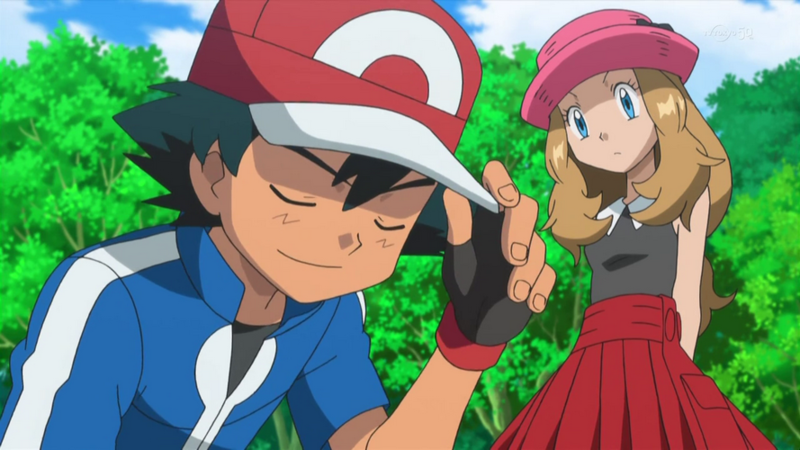 This time, a more mature and experienced Ash acted as if he was a mentor for the young new trainer, May. In this region Ash had to defeat again 8 Gym Leaders in order to enter the Hoenn League, where he also fought his friend and rival Morrison. 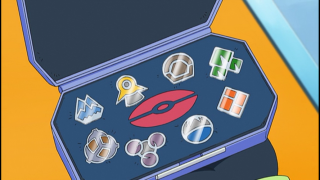 Ash finished alongside the eight best trainers. Next, he separated from his friends again and came back home. However, he found them right there, in Pallet town, a place in which they decided to set off again for another journey altogether. This time, Ash’s main objective was the Battle Frontier. Ash defeated all the Frontier Brains, gaining the Champion title in the episode “Pace – The Final Frontier!“, during which he managed to win against Baldo. At the end of his second journey through the Kanto region, Ash saw for the first time Gary’s Electivire, experience that lead him to decide to visit the Sinnoh region, where he met again his friend Brock. In Twinleaf Town, the two met Dawn and with her they started a new journey during which Ash not only faced matches in Gyms, but also, with her new friend, joined two Pokémon Contests. During this series Ash, has become an experienced trainer, specialized in creating new and spectacular fighting strategies, so much that Dawn developed a great admiration for him. However, more than once Ash has been under pressure because of his new rival, Paul, who is used to train his pokémon with completely different methods from the ones used by Ash. Paul, in order to make his pokémon stronger, doesn’t even worry about them. His methods, for this very reason, are stricts and heedless. After many difficulties, Ash finally managed to defeat Paul in the most spectacular match of his life, arriving at the semifinals of the Sinnoh league but being defeated by Tobias and his legendary Pokémon. However, Ash was the only trainer who managed to defeat not only Tobias’s Darkrai, but even his Latios, this way becoming the moral winner of the Sinnoh league. 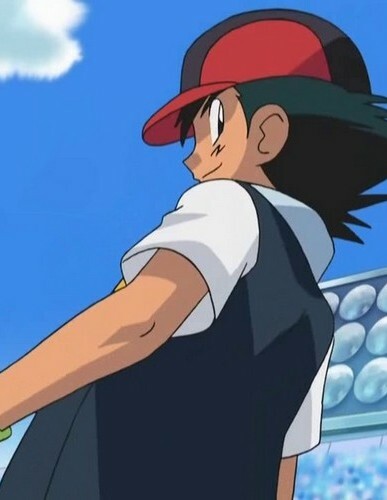 Once the competion ended, Ash separated from Dawn and Brock. In the end the latter wouldn’t come back to travel with Ash because he decided to study very hard to become a doctor. The XY series, in fact, sees a return of Ash as we had left him in the Sinnoh region: mature and extraordinarily skilled in Pokémon battles. 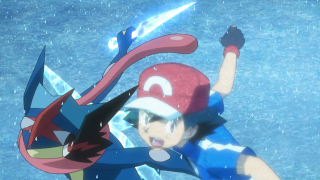 In a short period of time, Ash has improved a lot his trainer skills and during the XYZ series he also discovers a power that binds him to his Greninja. 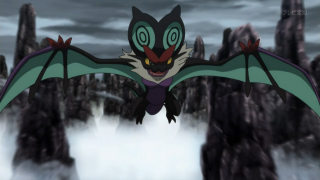 Thanks to it, Ash reaches a level never seen before and is ranked finalist in the League of Kalos. 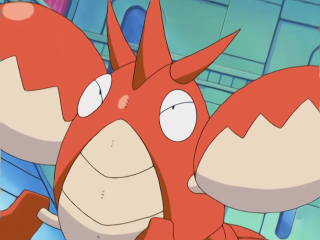 His travel friends were Clemont, Bonnie and Serena. The latter is in love with Ash after he, as a child, helped her in a forest where she had lost. Upon arrival in Kalos, Serena recognizes Ash seeing him on television and decided to travel with him. The reason for which Ash’s parents are separated is that his father, a person whom information are ignored, abandoned the family a little while later Ash’s birth, leaving a young 19-year old Delia alone. We only know that he is a pokémon trainer (who doesn’t appear in the membership list of the World Pokémon trainers Association) currently travelling in a far land. As for Ash’s maternal grandparents, Delia’s mother died because of a disease, while her father had a behavior very similar to that of her husband: he also left home to become a trainer. Note: moves marked in dark blue are the ones currently known or used recently by the Pokémon. 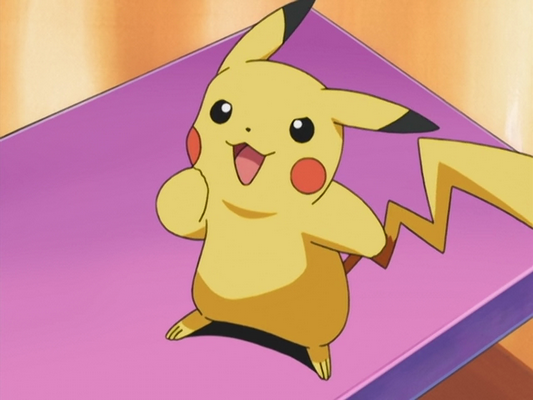 Pikachu is the initial Pokémon of Ash, obtained from Professor Oak in the episode “Pokémon – I Choose You!“. 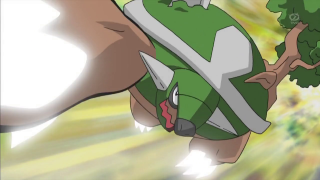 Moves: Thundershock, Thunderbolt, Thunder, Agility, Double-Edge, Quick Attack, Tail Whip (used sporadically without command, as in the Vermilion Gym), Tackle, Leer (used only in the episode “Hour of the Houndour“), Iron Tail (teached by Ash in the episode “All Things Bright and Beautifly!“), Locomovolt (learned in the episode “May’s Egg-Cellent Adventure“), Electro Ball (learned in the episode “Dancing With the Ducklett Trio!” (Black&White series). Given to Ash in the episode “Bulbasaur and the Hidden Village“. 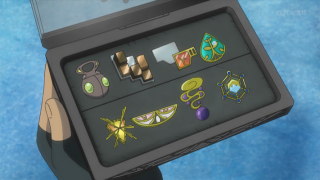 Moves: Razor Leaf, Vine Whip, Sleep Powder, Take Down, Leech Seed, Solar Beam (learned in the episode “Bulbasaur’s Mysterious Garden“), Whirlwind, Tickle, Dig. Evolution of his Charmeleon, which evolved from Charmander. 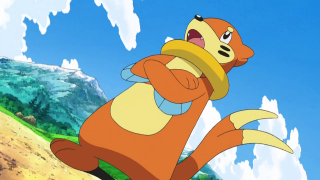 This Pokémon was caught by Ash in the episode “Charmander the Stray Pokémon“. Charizard is training in the Charicific Valley. However, in case of necessity, Ash can ask Liza to use it temporarily. 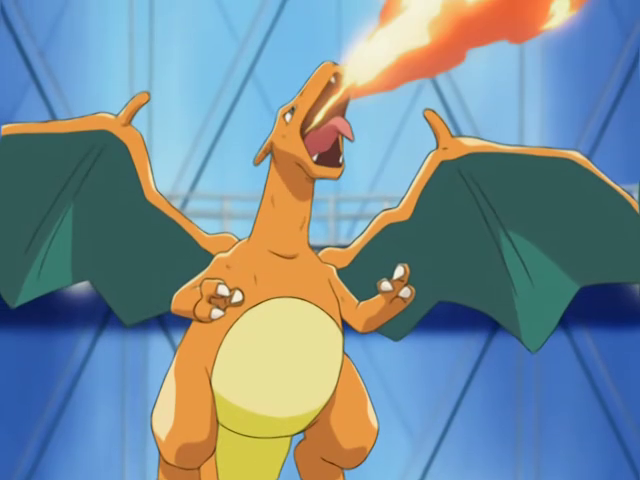 Moves: Flamethrower, Leer, Ember, Fire Spin, Skull Bash (used only in the episode “Pokémon Scent-sation!“), Seismic Toss (learned after evolving), Tackle, Mega Punch, Submission, Take Down, Rage, Dragon Rage, Dragon Breath, Whirlwind, Overheat (learned in the Charicific Valley), Steel Wing (learned in the Charicific Valley before the episode “Gathering the Gang of Four!“), Wing Attack, Slash, Dragon Tail. 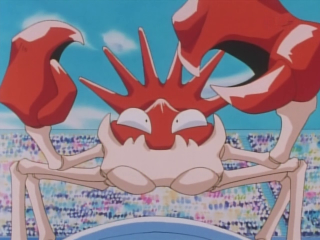 Evolution of Ash’s Krabby, one of his first Pokémon and caught by Ash in the episode “Mystery at the Lighthouse“. Moves: Crabhammer, Harden, Leer, Bubble, Water Gun, Hyper Beam, Vice Grip, Stomp. Caught in the episode “Sparks Fly for Magnemite“. Moves: Body Slam, Poison Gas, Sludge Bomb. 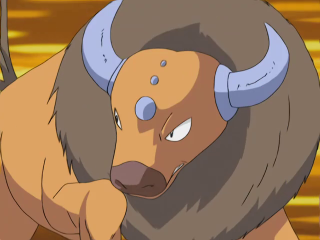 Caught at the Safari Zone in the banned episode “The Legend of Dratini“, together with 29 other Tauros. Indeed, Ash has 30 Tauros. 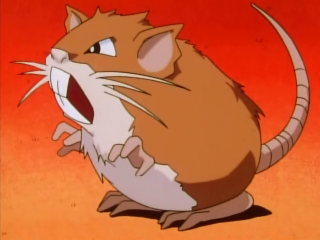 Caught at the Orange Islands, during the episode “Snack Attack“. Moves: Tackle, Body Slam, Hyper Beam, Ice Punch, Mega Punch, Mega Kick, Protect, Rest, Headbutt. Caught in the episode “A Sappy Ending“. 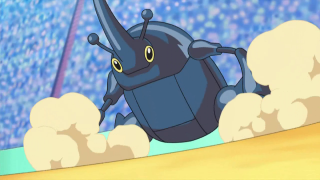 Moves: Tackle, Take Down, Leer, Fury Attack, Megahorn, Horn Attack, Endure, Sleep Talk (shown in the episode “League Unleashed!“), Focus Punch (shown in the episode “League Unleashed!“), Hyper Beam (shown in the episode “The Semi-Final Frontier!“). Evolution of his Chikorita, a Pokémon healed by Ash, after the struggle with his Charizard in the episode “The Chikorita rescue“. 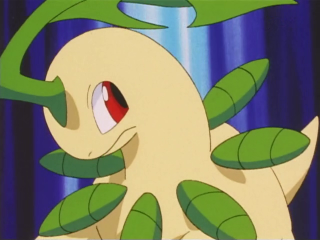 Moves: Tackle, Razor Leaf, Vine Whip, Sweet Scent (which has been used only in the episode “Gettin’ The Bugs Out”), Body Slam (learned right after evolving into Bayleef), Headbutt (used only in the episode “Playing with Fire!“). 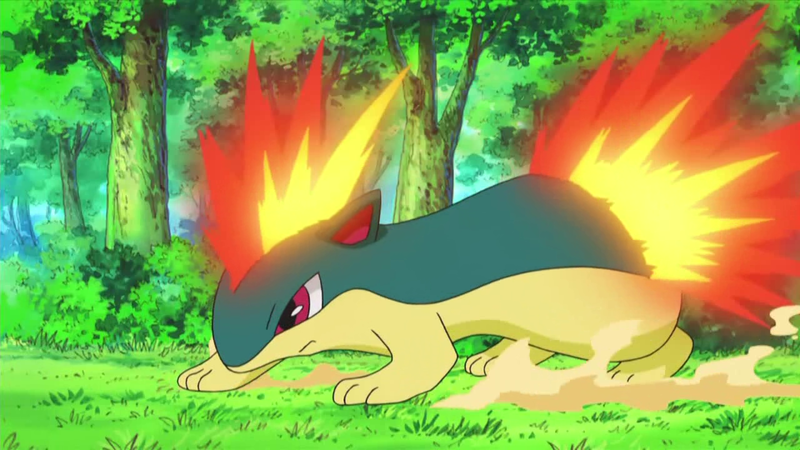 Evolution of his Cyndaquil, caught in the episode “Good ‘Quil Hunting“. Moves: Tackle, Flamethrower, Quick Attack, Agility, Smokescreen, Swift, Flame Wheel (shown in the episode “An old Family Blend!“), Eruption (learned right after evolving into Quilava in the episode “An old Family Blend!“), Aerial Ace (shown in the episode “League Unleashed!“). 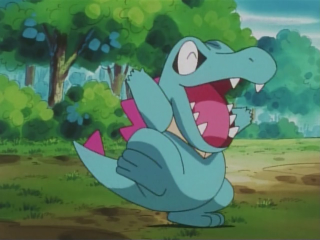 Caught in the episode “The Totodile Duel“. Moves: Scratch, Water Gun, Bite, Slash (used only in the episode “Just Add Water“), Headbutt, Skull Bash, Scary Face, Leer (used only in the episode “Playing with Fire!“), Tail Whip (used only during the second phase of the Silver Conference after the command ” Finish it!”). 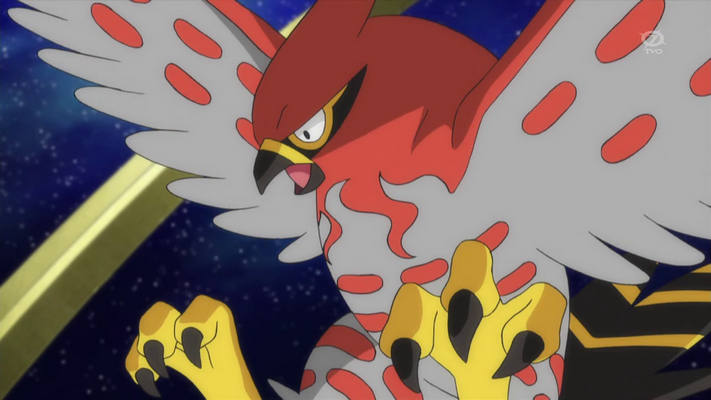 The only shiny Pokémon caught by Ash, during the episode “Fowl Play!“. Moves: Tackle, Whirlwind, Peck, Foresight, Hypnosis, Confusion (learned in the episode “From Ghost to Ghost“), Air Slash (shown in the episode “Working on a Right Move!“), Sky Attack (shown in the episode “Working on a Right Move!“), Extrasensory (shown in the episode “Working on a Right Move!“). 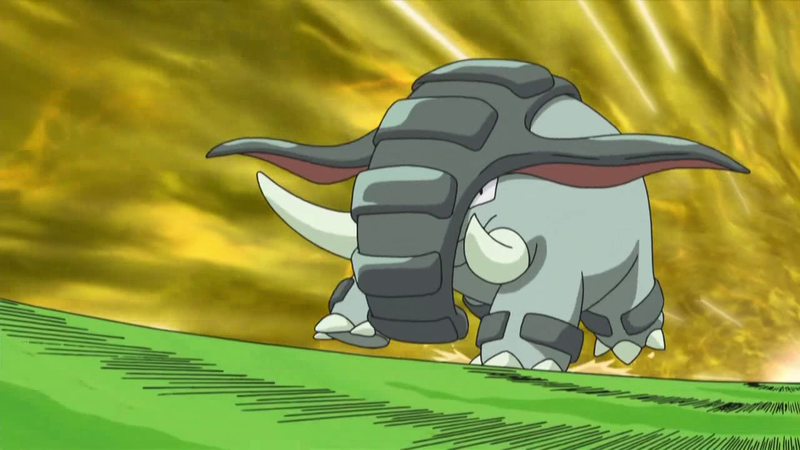 Evolution of his Phanpy, born from an egg received in the episode “Extreme Pokémon!” and hatched in the episode “Hatching a Plan!“. Moves: Tackle, Take Down, Rollout, Earthquake, Defense Curl, Hidden Power (used for the first time in the episode “Hooked on Onix“), Hyper Beam (learned right after evolving into Donphan in the episode “Reversing the Charges“). 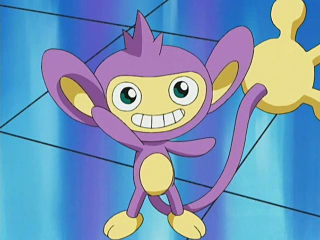 Evolution of his Taillow, caught in the episode “You Never Can Taillow“. Moves: Quick Attack, Wing Attack, Double Team (learned right after evolving into Swellow in the episode “Solid as a Solrock“), Aerial Ace (taught by Ash in the episode “Lessons in Lilycove!“). 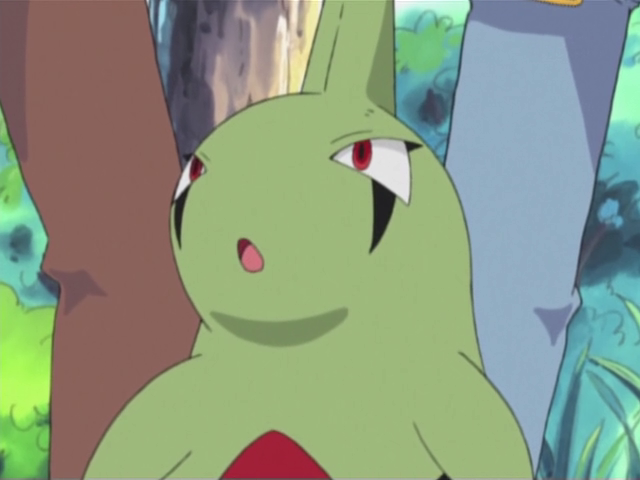 Evolution of his Grovyle, which evolved from Treecko, caught in the episode “Tree’s a Crowd“. 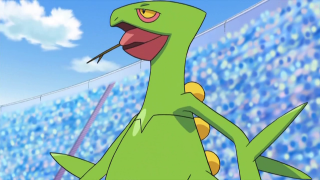 Moves: Quick Attack, Pound, Slam, Agility, Bullet Seed (taught by ash during the episode “What You Seed is What You Get“), Leaf Blade (learned right after evolving into Grovyle in the episode “Exploud and Clear!“), Solar Beam (learned during the match with Spenser), Verdebufera (shown in the episode “The Semi-Final Frontier!“). Caught in the episode “Gone Corphishin’“. Moves: Crabhammer, Bubble Beam, Bubble, Harden, Vice Grip, Dig. Caught in the Valley of Steel, during the episode “All Torkoal, No Play“. Moves: Flamethrower, Overheat, Iron Defense, Body Slam, Heat Wave (learned before the episode “Overjoyed!“). Moves: Ice Beam, Ice Windy, Powder Snow, Double Team, Headbutt. Evolution of his Staravia, which evolved from Starly, caught in the episode “Two Degrees of Separation!“. 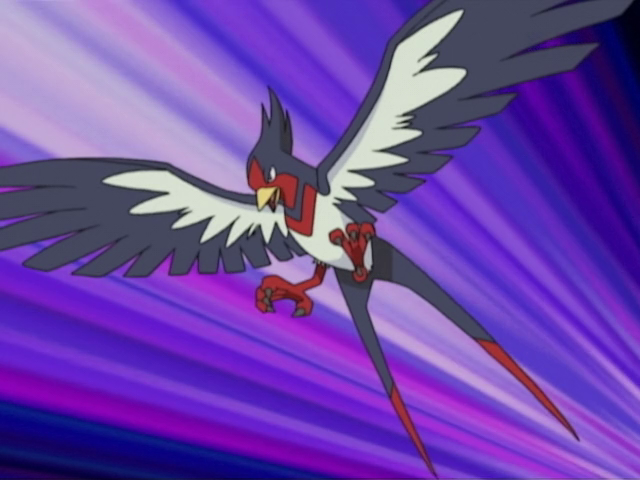 Moves: Wing Attack, Quick Attack, Gust, Aerial Ace (learned right after evolving into Staravia in the episode “A Staravia is Born!“), Brave Bird (taught by Ash in the episode “Crossing the Battle Line!“), Close Combat (learned right after evolving into Staraptor in the episode “Pursuing a Lofty Goal!“). 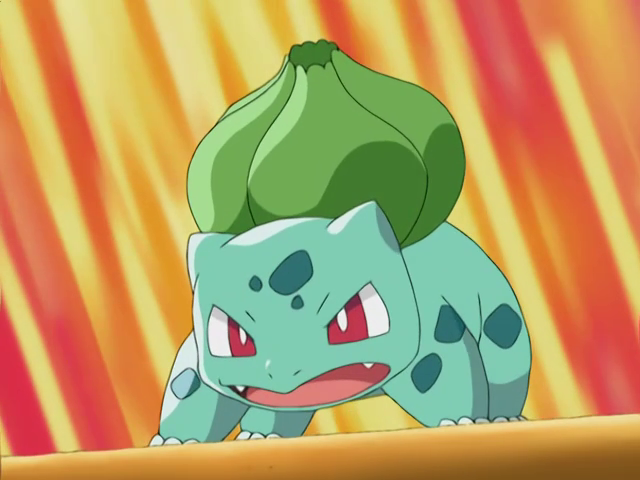 Evolution of his Grotle, which evolved from Turtwig, caught in the episode “Gettin’ Twiggy With It!“. Moves: Tackle, Razor Leaf, Synthesis, Bite, Energy Ball (taught by Ash in the episode “Tanks for the Memories!“), Rock Climb (learned in the episode “The lonely Snover“), Leaf Storm (learned right after evolving into Torterra in the episode “The Fleeing Tower of Sunyshore!“). Evolution of his Monferno, which evolved from Chimchar. 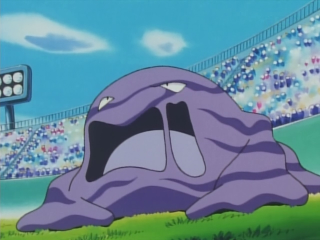 This Pokémon, has been abandoned by its previous trainer, Paul. So, Ash decided to ask it to join his team in the episode “Smells Like Team Spirit!“. 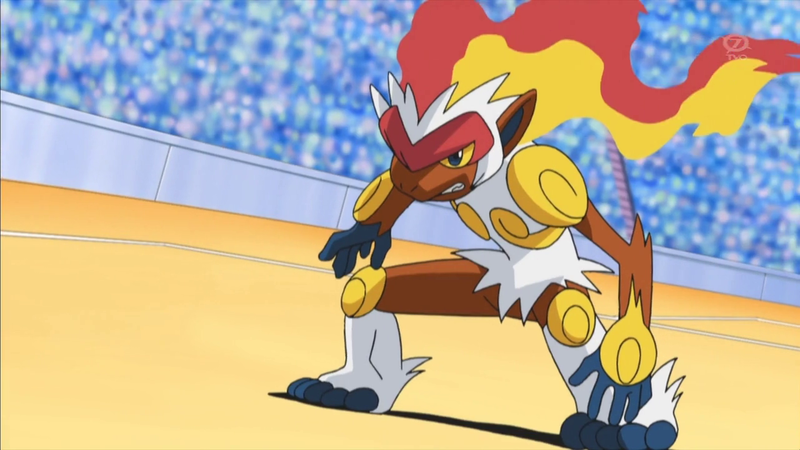 Moves: Flame Wheel, Ember, Dig, Fire Spin, Scratch, Flamethrower, Mach Punch (learned right after evolving into Monferno in the episode “Evolving Strategies!“), Flare Blitz (learned in the episode “Working on a Right Move!“). Moves: Water Gun, Aqua Jet, Sonic Boom, Water Pulse (used for the first time in the Veilstone Gym), Ice Punch (taught by Ash in the episode “Short and To the Punch!“). 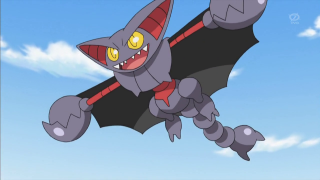 Evolution of his Gligar, caught in the episode “Riding the Winds of Change!“. Moves: Sand-Attack, X-Scissor, Steel Wing, Screech, Fire Fang (learned in the episode “A Breed Stampede!“), Giga Impact (learned in the episode “Mastering Current Events!“), Stone Edge (shown in the episode “A Real Rival Rouser!“). 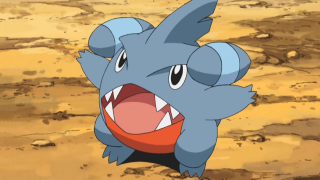 Caught in the episode “Gotta Get a Gible!“. Moves: Dig, Draco Meteor, Dragon Pulse, Rock Smash. 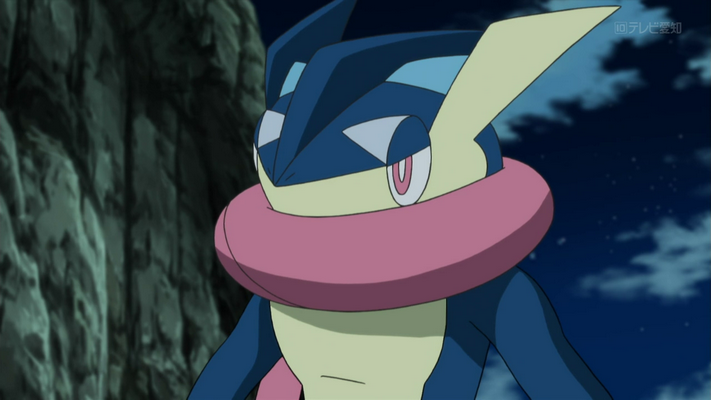 Evolution of his Frogadier, which evolved from Froakie, caught by Ash during the episode “Lumiose City Pursuit!“. 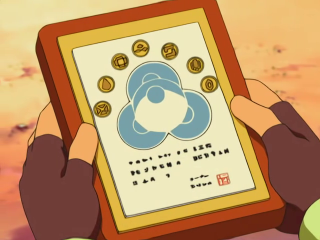 Moves: Water Pulse, Bubble, Pound, Double Team (learned in the episode “A Rush of Ninja Wisdom!“), Cut (learned during the episode “Forging Forest Friendships!“), Aerial Ace (learned after evolving into Frogadier), Water Shuriken (learned right after evolving into Greninja). Moves: Double Team, Peck, Razord Wind, Steel Wing, Nitro Charge (learned after evolving into Fletchinder), Brave Bird (learned after evolving into Talonflame). Caught by Ash during the episode “The Forest Champion!“. Moves: Karate Chop, High Jump Kick, Flying Press, X-Scissor (used for the first in the Laverre Gym). Evolution of his Noibat, hatched from an egg found by Ash’s Hawlucha during the episode “A Not-So-Flying Start!“. (learned during the episode “Rival Showdown! Satoshi VS Shōta!!”). 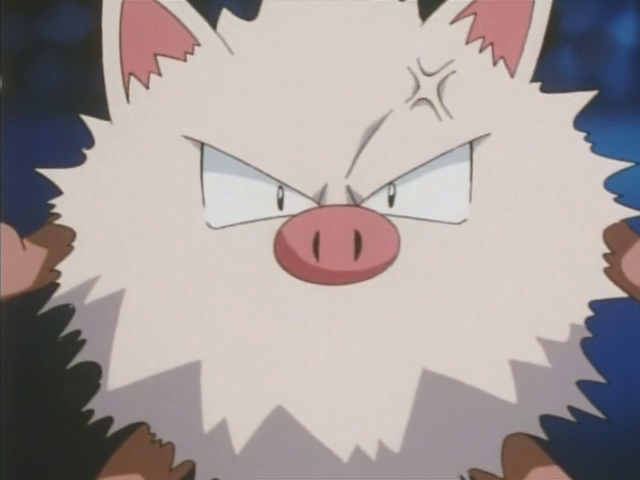 Caught by Ash, after that his pre-evolution (Mankey) had stolen the boy’s hat, in the episode “Primeape Goes Bananas“. 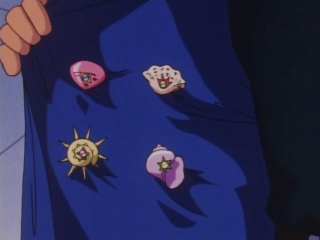 Next, he donates it to a fighting type Pokémon trainer, Antony, in the episode “The Punchy Pokémon“. Moves: Trash, Scratch, Mega Kick, Seismic Toss. Joined Ash in the episode “Here Comes the Squirtle Squad“. It works in a firefighters team formed by different Squirtle and their evolutions. 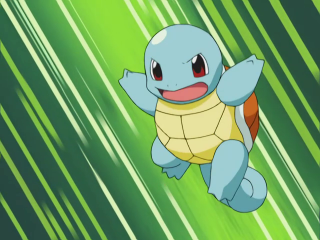 Moves: Water Gun, Bubble Beam, Withdraw, Skull Bash, Hydro Pump (learned in the episode “Misty Meets Her Match“), Rapid Spin (learned along with the Squirtle squad), Bubble. Evolution of his Metapod, which evolved from Caterpie, caught in the episode “Ash Catches a Pokémonl“. Released in the episode “Bye Bye Butterfree“ because it fell in love with another Butterfree. Moves: String Shot, Tackle, Harden, Sleep Powder, Whirlwind, Stun Spore, Double-Edge. 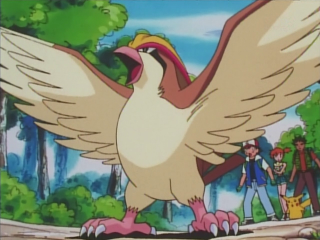 Evolution of his Pidgeotto, caught in the episode “Ash catches a Pokémon“. 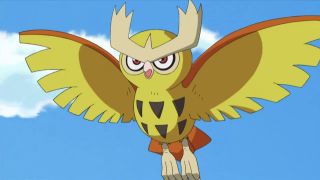 Released in the episode “Pallet Party Panic” to protect a group of Pidgey and Pidgeotto from the attacks of a Fearow, the evolution of the same Spearow which attacked Ash and Pikachu at the beginning of the first series. Moves: Gust, Quick Attack, Sand Attack, Whirlwind, Wind Attack, Double-Edge. Saved by Ash when it was young in “The Lost Lapras“, used as a ferry in the Orange Islands, released once it found its family at the end of the journey, in the episode “Viva Las Lapras“. Moves: Ice Beam, Water Gun. 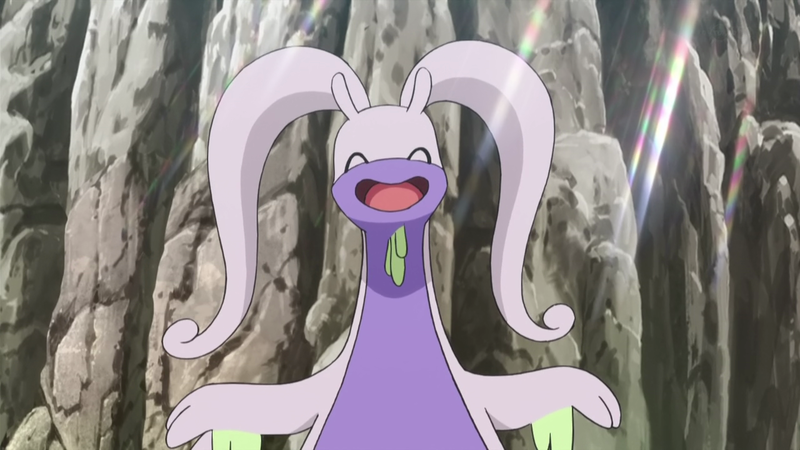 Evolution of his Sliggoo, which evolved from Goomy, caught in the episode “A Slippery Encounter!“. Ash helped it to become stronger, so that it could protect its friends. It returned to live with them in the episode “Beyond the Rainbow!“.Moves: Rain Dance, Bide, Dragon Breath, Dragon Pulse, Ice Beam. 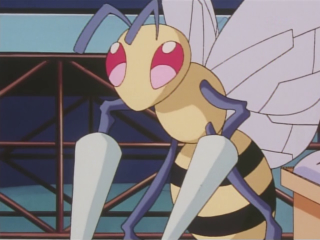 Ash received it from a trade on the St. Anne, in the episode “Battle Aboard the St. Anne“, for his Butterfree. However he later traded it away in order to get his Butterfree back. Moves: Jump Kick, Super Fang, Hyper Fang. Caught at the end of the Kanto Gran Festival, in the episode “Channeling the Battle Zone!“, subsequently traded with Lucinda in the episode “Throwing the Track Switch” because it preferred Pokémon Contests to Gym battles. Moves: (when traded): Scratch, Swift, Focus Punch, Double Team. Caught by Ash and given to Casey in the episode “The Bug Stops Here“. Caught by Ash in Lavender Town during the episode “The Tower of Terror“ and given to the Gym Leader Sabrina in “Haunter versus Kadabra“. 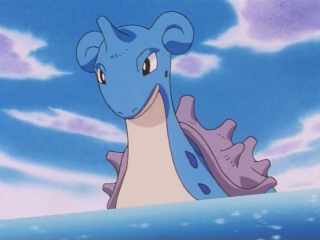 Born from an egg given to Ash by Professor Elm in the episode “Lapras of Luxury“. Ash finds its mother and gives her the Pokémon in the episode “Mother of Alls Battles“. Moves: Screech, Hidden Power, Harden, Bite, Strength. Masafumi Mima, sound director of Pokémon Anime, made it clear that the new Sun&Moon series is not a continuation of XYZ and that the protagonists are new versions of Ash and Pikachu. It is a merchandising strategy which, of course, also applies to Black&White series. 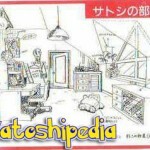 We, staff of Satoshipedia, are very keen to Ash and can’t stand the idea that he is treated like a puppet because of commercial strategies. Which is why we only deal with the TRUE Ash Ketchum and we would like to point out that both of the Black&White and the Sun&Moon versions of Ash, are only ALTERNATIVE and noncanonical versions of Ash! 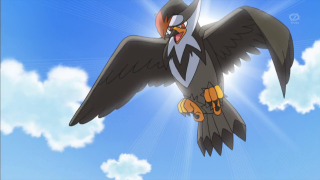 Evolution of his Tranquill, which evolved from Pidove, caught in the episode “Enter Iris and Axew!” (Black&White series). Moves: Quick Attack, Air Cutter, Wing Attack, Aerial Ace (learned right after evolving into Unfezant). Caught in the episode “A Sandile Gusher of Change!” (Black&White series). Moves: Water Gun, Tackle, Razor Shell, Aqua Jet (learned in the episode “Rematch at the Nacrene Gym!“), Hydro Pump (learned in the episode “Expedition to Onix Island!“). Evolution of his Tepig, caught in the episode “The Battle Club and Tepig’s Choice!” (Black&White series). Moves: Ember, Tackle, Flame Charge (learned in the episode “Rematch at the Nacrene Gym!“), Flamethrower (learned in the episode “Battle For The Underground“), Fire Pledge (learned right after evolving into Pignite), Brick Break. Caught in the episode “Snivy Plays Hard to Catch!” (Black&White series). Moves: Vine Whip, Attract, Leaf Storm, Leaf Blade. 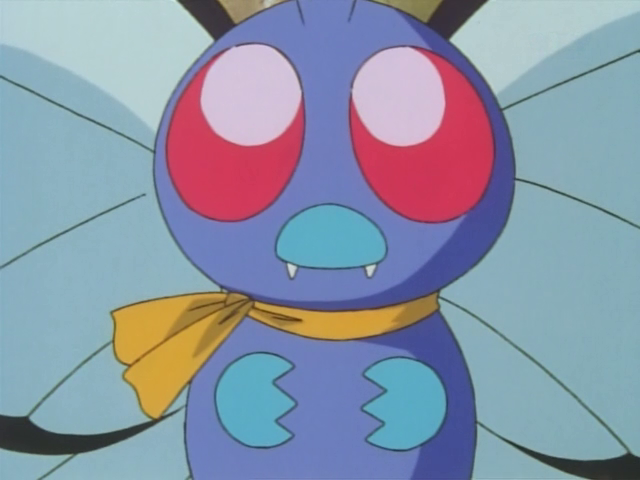 Obtained when being only an egg in the episode “Here Comes the Trubbish Squad!” and then hatched in the episode “Scraggy—Hatched to be Wild!” (Black&White series). Moves: Leer, Headbutt, High Jump Kick (learned in the episode “Meowth’s Scrafty Tactics!“), Focus Blast (learned in the episode “The Clubsplosion Begins!“). 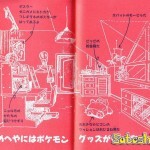 Evolution of his Swadloon, which evolved from Sewaddle, caught in the episode “Sewaddle and Burgh in Pinwheel Forest!” (Black&White series). 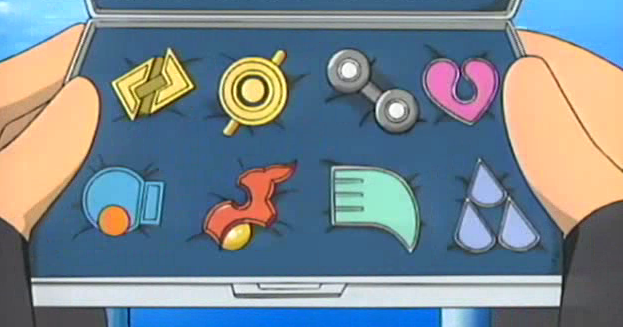 Moves: String Shot, Razor Leaf, Bug Bite, Tackle, Energy Ball (learned right after evolving into Swadloon in the episode “Battling For The Love of Bug-Types!“), X-Scissor. Caught in the episode “Facing Fear with Eyes Wide Open!” (Black&White series). Moves: Hydro Pump, Mud Shot, Supersonic, Sludge Wave. Evolution of his Roggenrola, caught in the episode “Gotta Catch A Roggenrola!” (Black&White series). Moves: Sandstorm, Stone Edge, Flash Cannon, Rock Blast (learned after evolving into Boldore), Rock Smash (learned after evolving into Boldore). 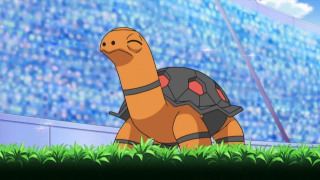 Evolution of his Sandile with sunglasses appeared in the episode “A Sandile Gusher of Change!“. Evolved into Krokorok in “Dancing With the Ducklett Trio!“. 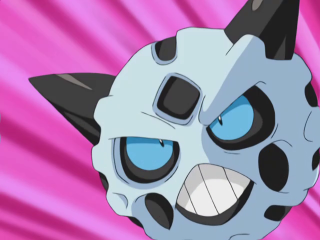 The Pokémon is captured by Ash in the episode “Battling the Bully!“. 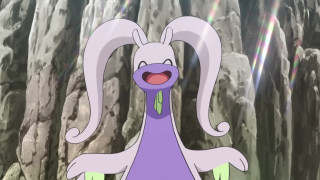 Later it evolves into Krookodile. (Black&White series). Moves: Dig, Bite, Stone Edge, Crunch, Dragon Claw (learned right after evolving into Krookodile), Aerial Ace. The Black&White series should be considered separately, however, given its multiple contradictions (read article “Ash’s Age in each series“), we keep still account its timeline. 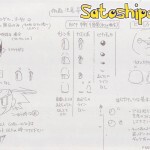 The initial project for Ash’s hat, in the original series, was similar to that of Red (in the first generation). Subsequently, it was modified until its final design. 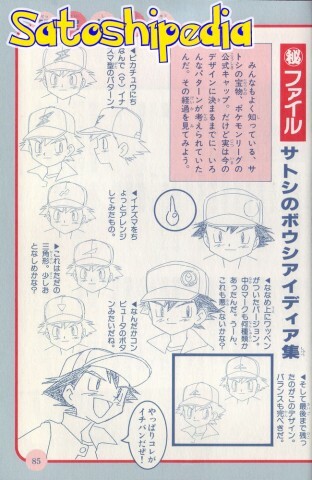 When the english voice actor Veronica Taylor was interviewed in the documentary “Adventures in Voice Acting”, she revealed that, during the period of Ash’s voice auditions, the protagonist was known as Casey. Rica Matsumoto (his japanese voice actor), during an interview said: “Satoshi always comes up with funny phrases, like pajama wa jama (japanese pun that more or less means ‘pajamas are a threat’) or jokes. This is what drew me to him as a character”. Just as said by Rica Matsumoto, Ash is also known for his jokes with puns (it is famous, in the american dub, the phrase “I’m an apple for a day and I need a doctor right away“). Especially when he mutters, he often comes up with funny-sarcastic phrases. Ash loves apples. Among his favorite food we also find: fried chicken, spaghetti and custard as dessert. Ash eats everything and he also likes every kinds of vegetables. It seems that the only thing he doesn’t appreciate is the type of hazelnut which grows on Grotle. 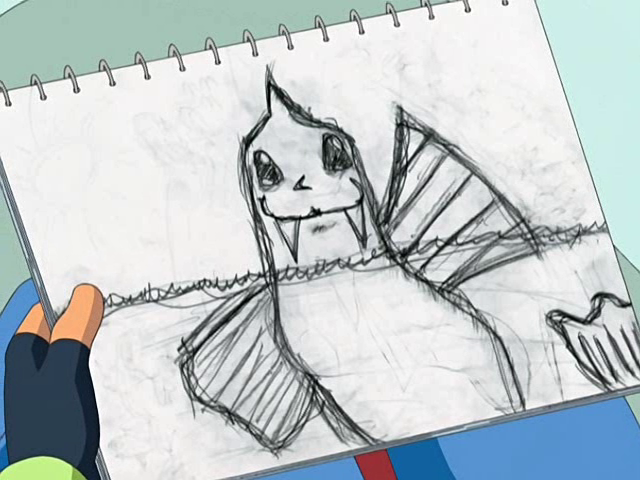 In the episode “Up Close and Personable!” it is shown that Ash is good at drawing. 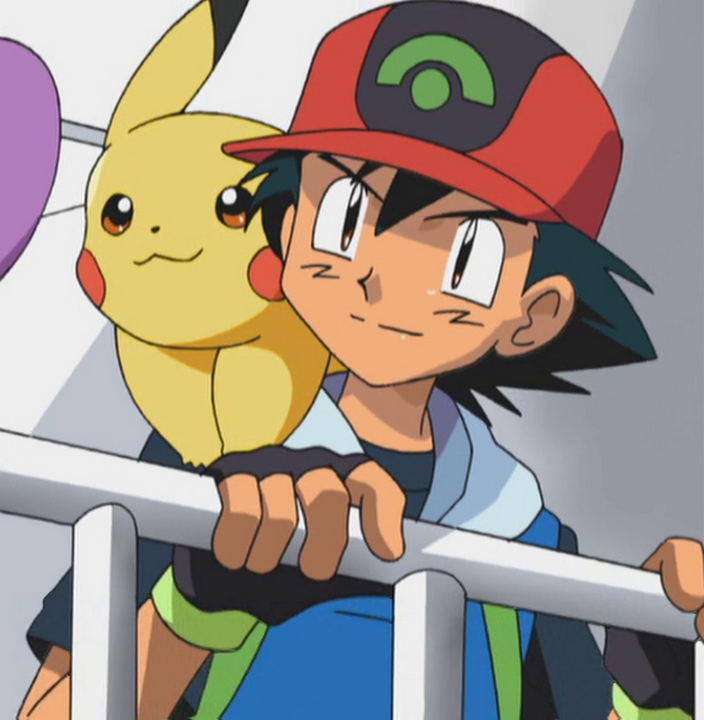 Ash is particularly good at climbing, also because he used to do it often as a child, playing on his own (as he mentioned in the episode “The Screen Actor’s Guilt“). As seen in some episodes, Ash seems interested in catching a Dunsparce. Ash is not by any mean tech-savvy. 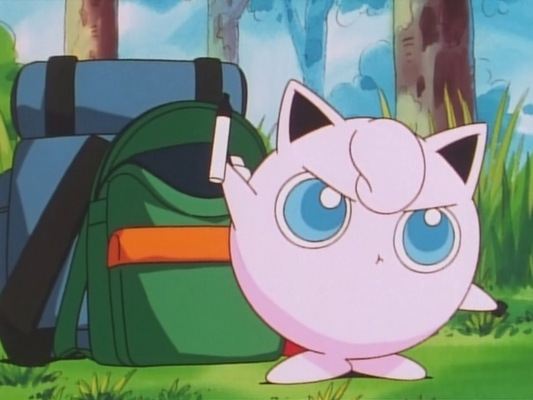 The marking pen that Jigglypuff always kept with it actually belonged to Ash. The Pokémon had stolen it from his backpack. Ash is really good at Physics: during battles (and in other situation too) he always creates tactics based on levers, calculation of forces, forces and accelerations, combination of natural elements, ecc. The Master Ball-shaped ball, recurrently seen in the anime, belongs to Ash. Ash has the same aura of Lucario and is the so-called “Aura Guardian“, however, at the moment, he is not interested in developing this particular ability. Ash doesn’t like wearing pajamas, in fact, as a child, he often went sleeping without changing, making his mother angry.